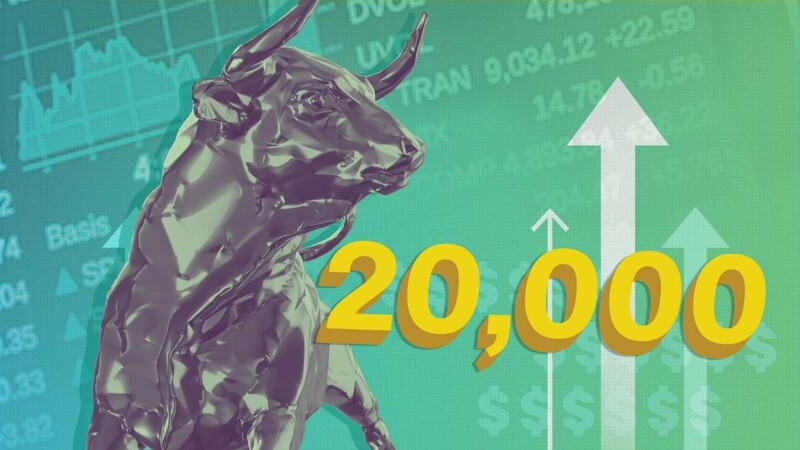 The Dow Jones Industrial Average hit the milestone 20,000 mark in January. The 120-year old index took 103 years to reach 10,000 in March 1999, then another 18 years to reach 20,000 in January 2017. The move from 19,000 to 20,000 took just 42 trading days, the second fastest 1,000 point gain in history for the index. The single fastest 1,000 gain occurred during the dot com boom in 1999 when the index jumped from 10,000 to 11,000 in only 24 days. Two other notable equity indices also reached new highs in January, the S&P 500 and the Nasdaq. Equity markets pulled back at the end of January as uncertainty surrounding various administrative policies and some disappointing corporate earnings fueled a retraction of major indices. Earnings were mixed in January as earnings were reported for various companies across different sectors. A number of industries that have been laggards for the past 4 to 8 years have now become candidates for growth and expansion: oil & gas drillers, metal & glass containers, fertilizers & agricultural chemicals, tankers, and mining. A common complaint about stock market growth has been the fact that most companies found it easier to simply issue debt at low interest rates and buy back their own stock, rather than investing in capital with the constant tide of regulatory resistance discouraging expenditures.